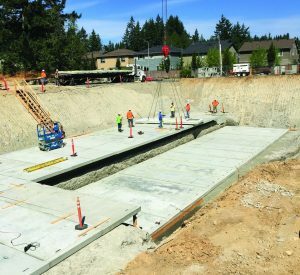 Lake Washington School District’s new Clara Barton Elementary School in Redmond, Wash., is one of the new elementary schools in the Redmond Learning Community that was included in the district’s Long-Term Facilities Planning Task Force recommendations. The new school is built to house 690 elementary students under state-funded class-size reductions. 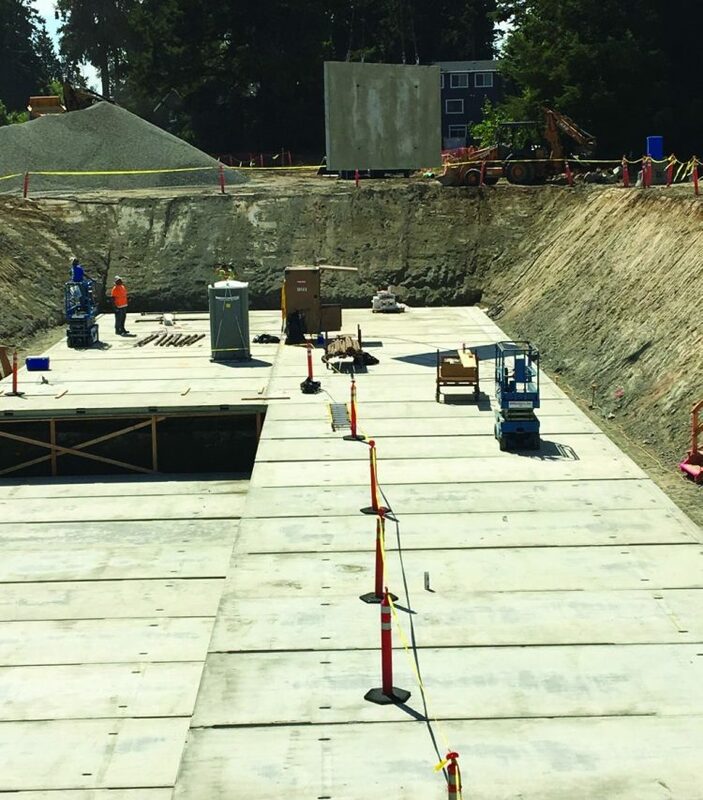 As part of the project, Oldcastle Precast Auburn was contracted to supply several hundred precast concrete panel sections for two massive detention vaults for the school’s new stormwater conveyance system. 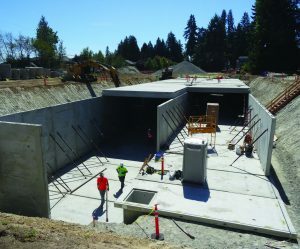 BNBuilders Construction, BLRB Architects, AHBL Engineering and Oldcastle Precast Auburn collaborated in creating the new stormwater conveyance system to meet requirements set by Washington’s Department of Ecology. 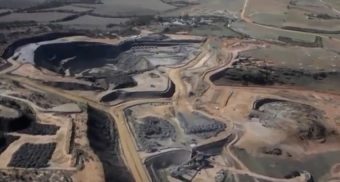 Oldcastle Precast Auburn provided 274 precast pieces, including flat base slabs, top slabs and wall panels. Built between Aug. 14-22, 2017, the north detention vault measured 44 feet wide by 178 feet long; the south vault, built in November 2017, is 44 feet wide by 220 feet long. In addition, Oldcastle Precast furnished ladders, cast iron covers, risers, grates and covers. Precaster: Oldcastle Precast Auburn, Wash. Location: 172nd NE and NE 122nd, Redmond, Wash. 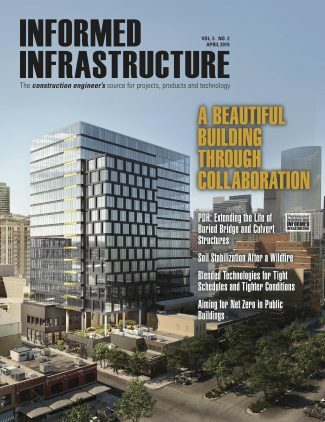 The segmented precast stormwater vaults hold approximately 900,000 gallons of water, allowing sediment to settle, causing filtered “clean” water to be discharged to the storm drainage system. Each precast panel was sealed using hydrophobic sealer. As soon as water touches the hydrophobic sealer, the water triggers it to spread, harden and cure between the panels, so there is no seepage. The overall construction of the precast concrete panel vault took six days. Impervious paving will be above the precast concrete detention vaults. The stormwater will drain through pipes on the surface paving and flow into the vault.